In January 2018, Nandipha Xamane and her husband separated after intense trials hit their marriage, leaving her with three boys to care for and a broken heart to mend. Lost and wounded, she pleaded for God to send her guidance during this trial. Nandipha and her husband with two of their boys. 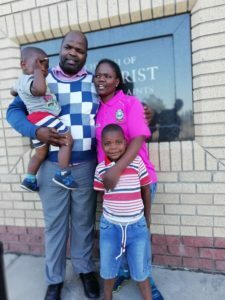 At church one Sunday, Pathway missionaries visited Nandipha’s local ward in Mdantsane, South Africa, and shared about a new Church educational program called PathwayConnect. Nandipha was drawn to the program because she liked studying and it would keep her from thinking about her husband. When her husband left, the financial burden fell on her. She had to work twice as much to pay the bills and make many sacrifices to provide for her children. Despite the financial struggle, Nandipha felt strongly that continuing her education was the next step in her life. So even with her many responsibilities, Nandipha decided to enroll in PathwayConnect for the following April. Little did she know, God had sent her a light to guide her on her path to healing. In the first few weeks of class, Nandipha was amazed by the classes, especially her religious reading assignments. She felt the Lord speaking to her, giving her strength to face her trials. As she read her weekly assignments, she felt that two talks—one by James E. Faust and another by Joseph B. Wirthlin—spoke directly to her. She was prompted to do something that she never thought she could do. As Nandipha reflected and pondered on these Apostles’ words, she felt in her heart that they were true. Nandipha realized that making right choices required trust in Jesus Christ. With that trust, she decided that the right choice to make that day was to forgive her husband. 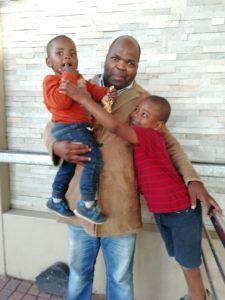 Nandipha’s husband with their sons. Nandipha asked her husband to come to her work place. When he arrived, she approached him with a big smile and told him she was done fighting with him. She had forgiven him for all the pain he had caused her. Because of Nandipha’s change of heart, her husband wanted to know for himself what it was that she was experiencing in PathwayConnect. 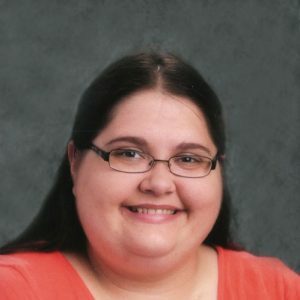 So, with her help, he enrolled in PathwayConnect for the following semester. 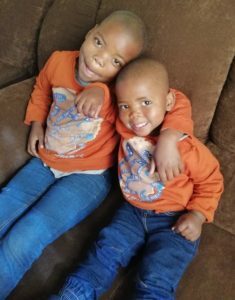 After just five weeks of PathwayConnect, Nandipha’s husband started to make small changes, such as calling and visiting her and their boys. 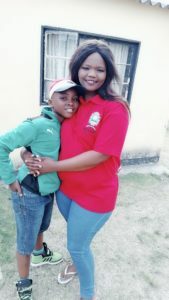 Although their family still faces challenges, Nandipha found the healing she needed through PathwayConnect to press forward. PathwayConnect has the power to heal and change people’s lives. 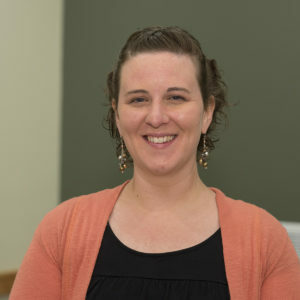 After completing PathwayConnect, Nandipha hopes to earn an online degree in marriage and family studies through BYU-Idaho. Find out how PathwayConnect can help you in your life! 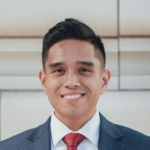 Comments on "Finding Healing through PathwayConnect"
and spiritual, and how it can even open windows for forgiveness. Pathway Connect is a blessing in so many ways! I am thankful for the opportunity I had to be part of it!